Does everyone have their Christmas tree up? We have a real tree this year and put it up this past weekend. In honor of the trimming of the tree, and Christmas in general because fun! 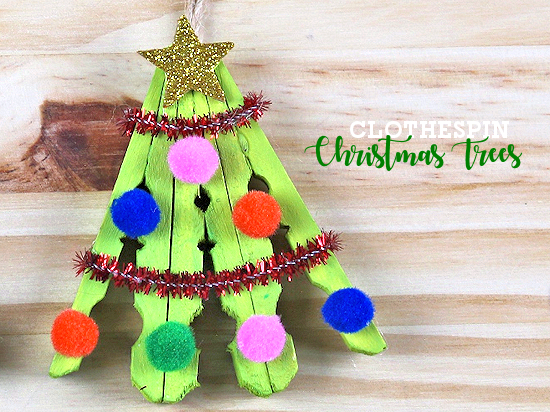 We’re sharing this darling Clothespin Christmas Tree Craft! 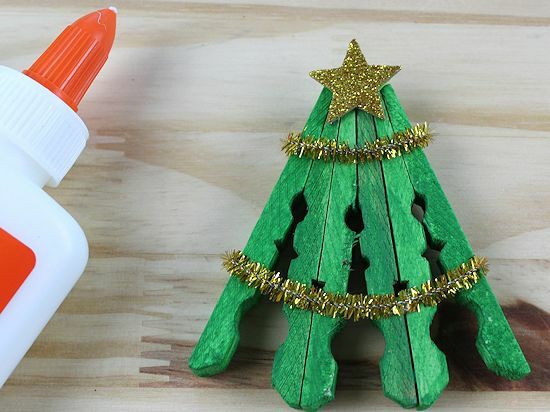 Our Clothespin Christmas Tree Craft is a lot of fun, because you can decorate it however you want. More poms! More pipe cleaners! More stars! More of more! And if you like this Clothespin Christmas Tree Craft, be sure to check out our Clothespin Snowflake Craft! 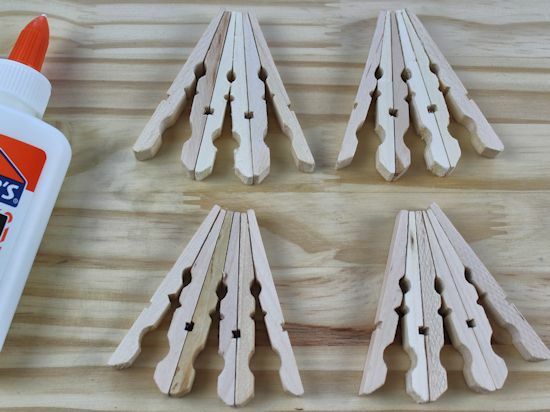 For our Clothespin Christmas Tree Craft you will first and foremost need clothespins. The regular wooden kind that you pinch open. You will need to twist the clothespins to remove their metal spring. You will also need paint and glue. Then to decorate, you will need a variety of pipe cleaners, pom poms, and glitter stars. Finish with a loop of twine or ribbon to hang your Clothespin Christmas Tree Craft from your actual Christmas tree! Twist the clothespins to remove the metal spring portion. 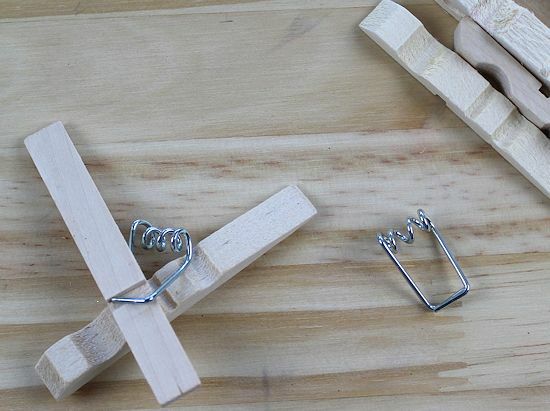 Glue two pieces of the clothespin together. Flat side to flat side. Glue two of the clothespins that have been glued together to each other. Glue the flat parts together creating a v type shape. And glue two pieces of clothespin on each side. Flat side facing out. Refer to the photo. 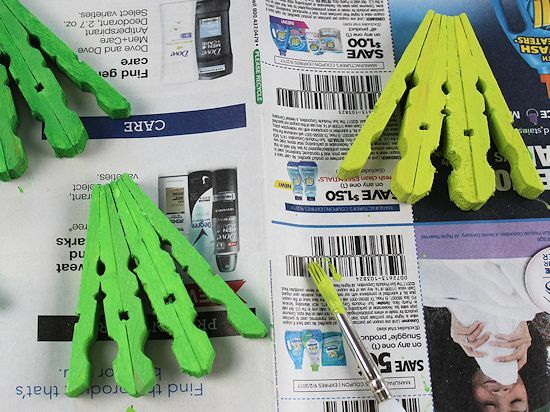 Paint the clothespins and allow them to dry completely. Glue the pipe cleaners onto the trees. Glue a star to the top of the tree. 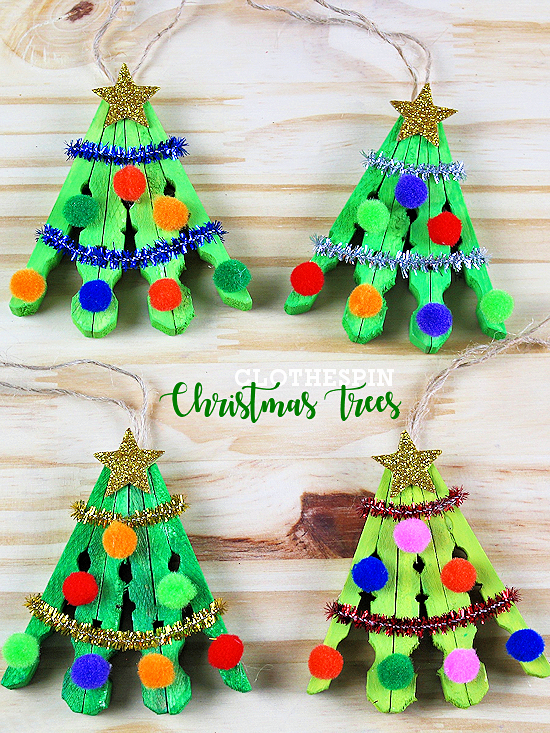 Decorate the tree by gluing colorful mini pom poms all over it. You could also use sequins, buttons, beads etc. Turn over and glue twine or ribbon on the back to hang on tree.